Click OK on ‘NTP time synchronization will override manual clock settings. 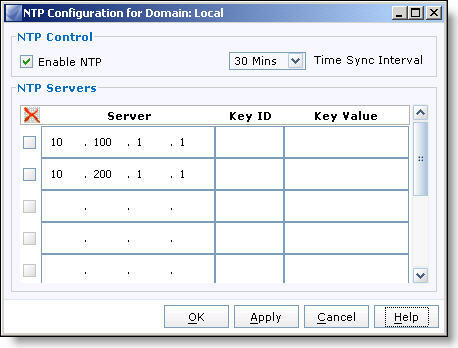 Tick ‘Enable NTP’ and select time synchronization interval from the drop down menu. The options are: 30 mins (default), 1 hour, 4 hours, 12 hours, 1 day, 7 days, 30 days. 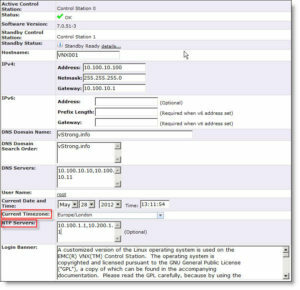 Type IP address(es) of the NTP servers. 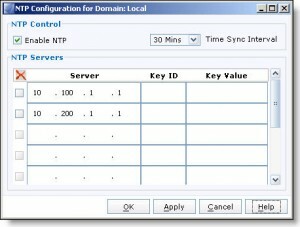 You can configure up to ten NTP servers maximum. 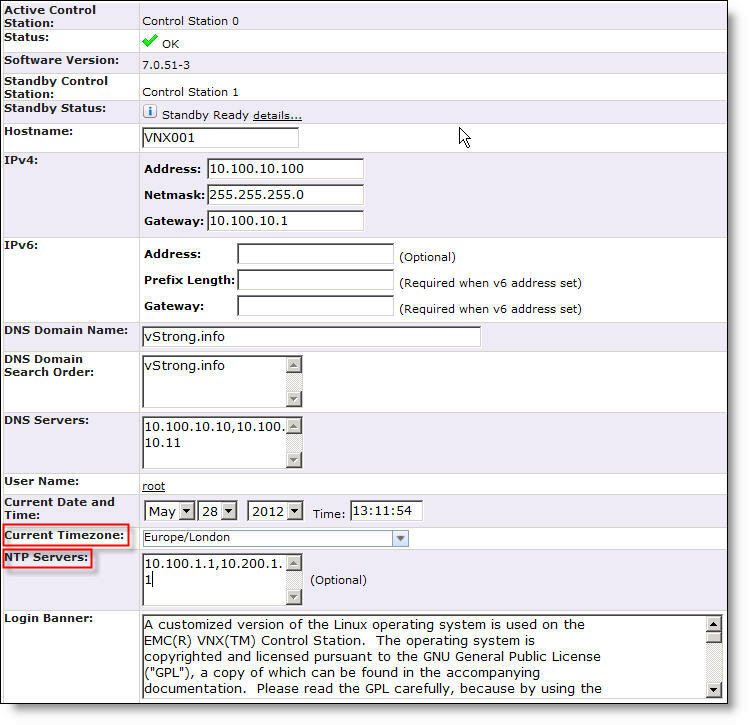 If you have a single VNX you will not have the Domains options and therefore need to login to the Control Station as ‘root’, select your array from the systems list, click System menu and select ‘Control Station Properties’ under ‘System Management’.